Every crew chief in the Monster Energy NASCAR Cup Series garage wants to win Sunday’s Pocono 400 at Pocono (Pa.) Raceway, but No. 14 crew chief Mike (Buga) Bugarewicz has a little extra incentive. He grew up in Lehighton, Pennsylvania, just 20 minutes from the track. 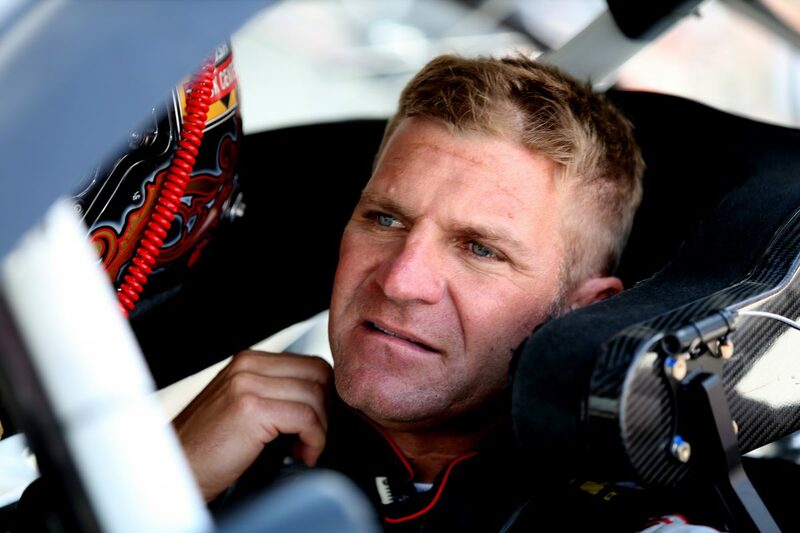 Shortly could come Sunday when Bugarewicz’s driver Clint Bowyer takes to the 2.5-mile layout known as the “Tricky Triangle.” Bowyer should be one of the favorites. He arrives at Pocono eighth in points after posting three top-five finishes and seven top 10s in the season’s first 13 races. Last week in the Coca-Cola 600 at Charlotte (N.C.) Motor Speedway, Bowyer raced inside the top-five for some of the race before earning a 12th-place finish. The Bowyer-Bugarewicz combination has already visited victory lane once in 2018 when it won the rain-delayed race March 26 at Martinsville (Va.) Speedway. The victory gave Bowyer his first win at Stewart-Haas Racing (SHR) and gave Bugarewicz his second career victory as a crew chief. His first came at Sonoma (Calif.) Raceway in 2016 in what turned out to be Tony Stewart’s final Cup Series victory as a driver. It’s been a long journey for Bugarewicz, who spent a lot of time watching his father race at Mahoning Valley (Pa.) Speedway and working on cars at his father’s business long before he even owned a driver’s license. He studied mechanical engineering and performed research for the U.S. Navy through Applied Research Laboratories in graduate school at Penn State University before heading to North Carolina to embark on a NASCAR career that peaked at SHR. He won a championship serving as the lead engineer on SHR’s No. 4 car with Kevin Harvick in 2014. He took over the No. 14 crew chief duties in 2016 for Stewart’s final year of NASCAR competition. Bugarewicz said he never doubted the No. 14 would return to victory lane with Bowyer. Some of the No. 14 team’s biggest competition will come from (SHR) teammate Kevin Harvick, who has won five races in 2018 plus the NASCAR All-Star Race two weekends ago. SHR drivers Kurt Busch and Aric Almirola are sixth and 10th in the standings. Bowyer and Harvick have been friends since 2006, when he arrived at Richard Childress Racing. This weekend at Pocono, they are waging a friendly battle. Bowyer is driving the Busch Light Ford while Harvick is campaigning the Busch Ford. They plan to compete against each other in social media events this weekend and will appear on stage together at 7:15 p.m. EDT Friday at Pocono’s Block Party in the infield. Bowyer would love to best his buddy Harvick and bring home the trophy in Pennsylvania, giving Bugarewicz a career highlight he’ll likely never forget. What was it like to watch Clint Bowyer break a winless streak and win at Martinsville? What are some of the ways you and Clint Bowyer are better in 2018?